Mackley is pleased to have entered into partnership with a charity that works with homeless young people in Brighton & Hove. 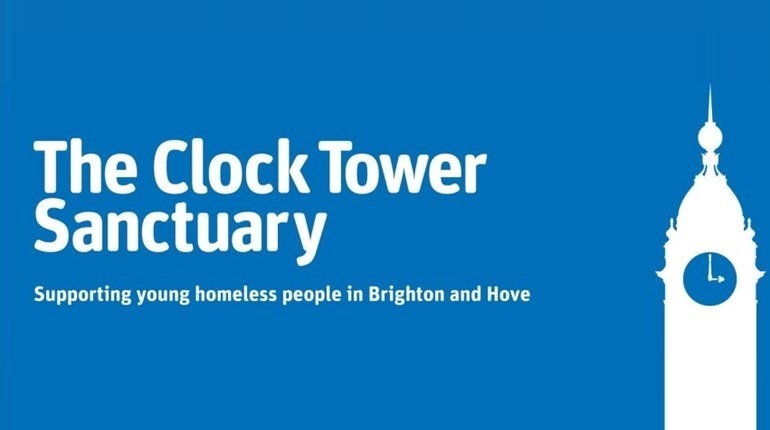 The Clock Tower Sanctuary is the city’s only day-centre for young people aged 16-25 years who are homeless or insecurely housed. The Sanctuary is open six days a week, 300 days a year – and over the last 12 months has supported 176 homeless young people, 64% of whom sought its help for the first time. The young people who turn to The Sanctuary for help have often ‘fallen through the net’, usually due to family breakdown, leaving care or the end of a relationship. Young people are also disproportionately impacted by a lack of social housing, the high cost of private rented accommodation and welfare reform. Since 2010, rough sleeping in Brighton & Hove has increased by 929% – but this is only the tip of the iceberg, when it comes to the young people helped by The Sanctuary. Its clients aren’t always sleeping on the streets: many are trapped in ‘hidden homelessness’, sleeping in squats, ‘sofa-surfing’ or moving from hostel to hostel. Mackley’s first involvement is to provide a donation to support the training of a volunteer who will work to ensure no young person becomes part of Brighton’s long-term homeless population. In 2019, Mackley’s annual charity golf day will raise money for The Sanctuary, with further support provided through various other events. David Knapp, Mackley’s Business Development Manager, visited The Sanctuary earlier this month to explore how Mackley can get involved and assist with fundraising. “The work carried out by The Clock Tower Sanctuary is amazing and incredibly inspiring. “The Sanctuary offers life-changing, practical support to help young people get back on their feet; along with a listening ear and a friendly face.